Nokia's former boss would like to see Microsoft become a software and services company. Stephen Elop, one of the contenders to replace Steve Ballmer as Microsoft's CEO, would sell the Xbox division if appointed, according to unnamed Bloomberg sources. Elop doesn't consider Xbox to be central to Microsoft's policies and goals, and would happily ditch both it and search engine Bing if he took the top spot. Elop considers Microsoft to be a software and services company, and would like to see its Office and other programs on every device, including Apple's, and anything running Google's Android. At the moment Office is essentially a means of keeping Windows-based devices afloat, and Elop believes that cutting the cord and letting Office go wherever the market wanted it to go is the best way of revitalizing Microsoft. 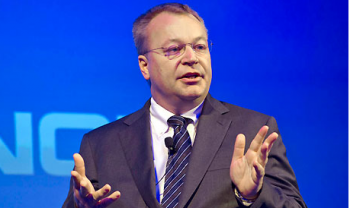 Elop's not the only one who thinks selling Xbox is a pretty good idea. "The new CEO search could result in a tighter focus on its lines of business," said Nomura analyst Rick Sherlund back in September. "We have suggested [Bing] search and Xbox lose money and are not essential." Sherlund thinks Microsoft could lift its 2015 profits by as much as 40%, if it sold Xbox and Bing. When it comes to profits, Office is certainly far more important to the company than its hardware division. The most recent financials show D&C Licensing make $4.343 billion as opposed to D&C Hardware's $1.485 billion, and at a much better margin. Hardware's revenue is eaten up in costs, whereas Licensing is a license to print money. Before Elop came to Microsoft he was Nokia's boss, during the phone company's decline, and before Nokia he was a Microsoft manager. After Microsoft bought Nokia earlier this year, Elop accepted a job at Microsoft. Whether or not you think Elop did a good job at Nokia depends on what you think his job was; if it was to revitalize the company, then Elop failed, but if it was to ensure Microsoft bought Nokia at a good price, then he succeeded. Kind of, anyway; Nokia's bad news is a gift that keeps on giving, as far as Microsoft's profits are concerned.